Notes: "Wilson Sewing Machine Co. J. W. Lyall." --Display sign. Notes: Interior view of Machinery Hall with Wilson display in center and other displays (including Lyall and Butterworth) in periphery and background. 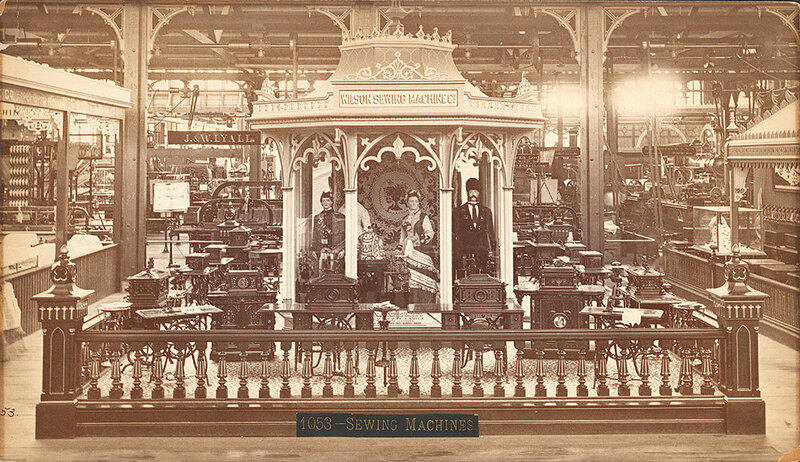 Wilson display shows mannequins under a gazebo surrounded by sewing, drying and loom machinery. Notes: Title on label: Sewing machines.